Arriving in Santiago de Compostela is a truly memorable experience packed with much emotion and special meaning for every person arriving whether they are a pilgrim having completed their camino experience, entering the city as a tourist, or a visitor like me enjoying regular trips to this historic city it always holds a very unique and wonderful feeling. 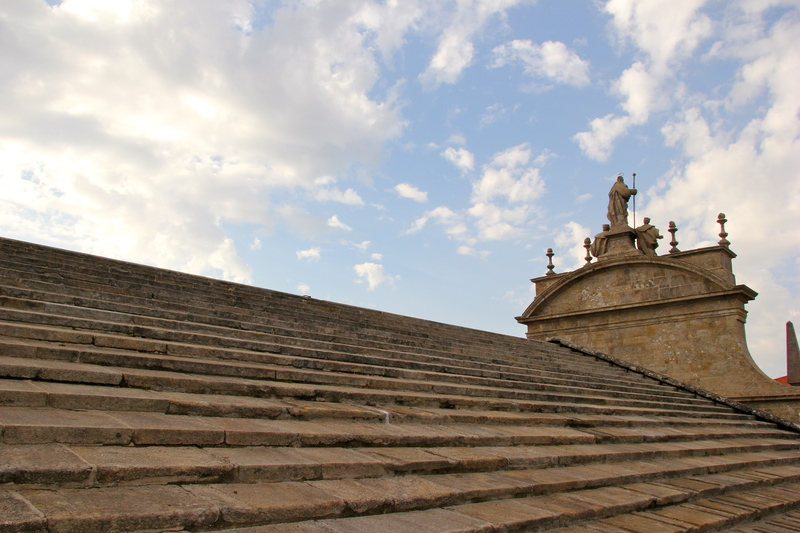 Especially for pilgrims the opportunity to walk on top of the Cathedral provides an incredible vista – an expansive view – looking around the city that called to each pilgrims heart a desire to experience the camino. 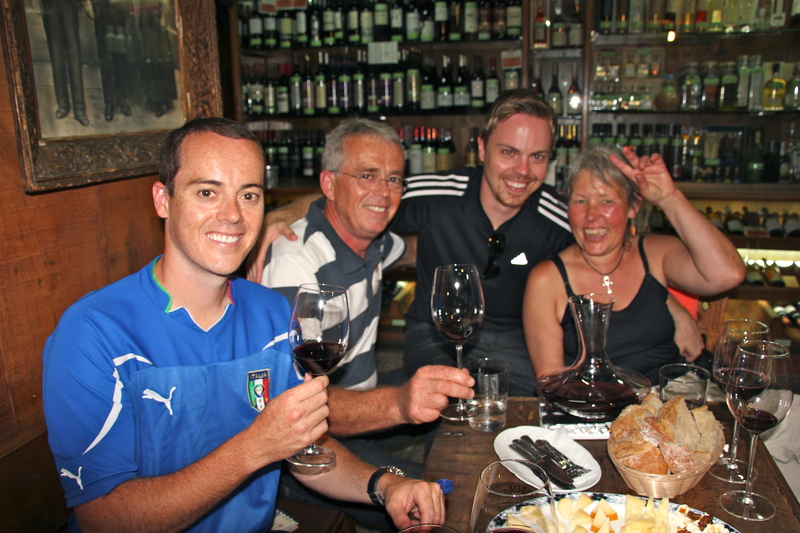 It is a place to celebrate and remember some of the special moments that were a part of your journey and also the view makes a new invitation encouraging one to experience yet another journey and explore a different route of the Camino – perhaps the Northern, English (known as the Slow Way), Portuguese, Primitive, Via De La Plata (Silver Way of St. James), Argonese, or perhaps to continue your camino journey to Fisterra (The End of the World) and Muxia. No matter what it is a special place to take a picture to remind you of the experience and help you to share your camino stories with family and friends. 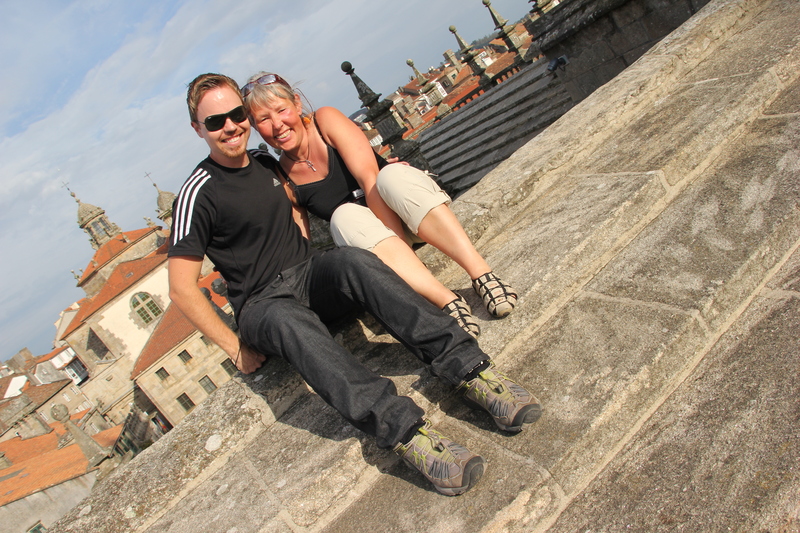 It is an experience that you will enjoy again and again on your visits to Santiago de Compostela. 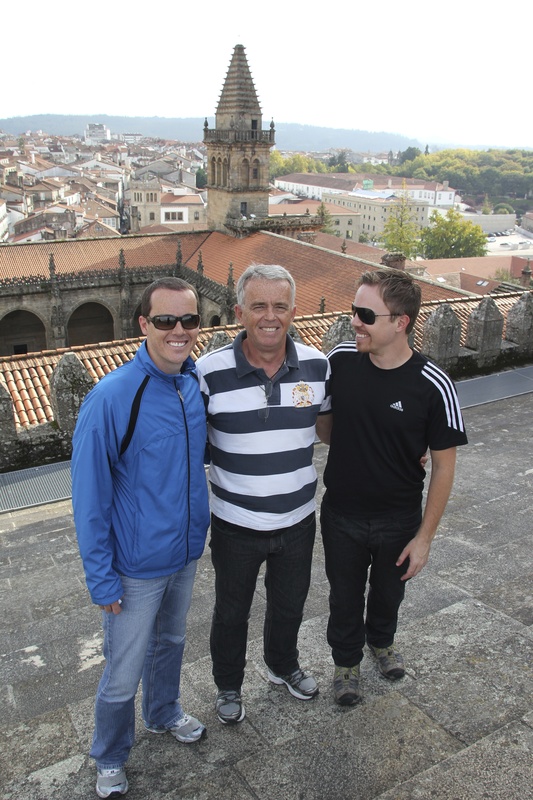 It was a real pleasure to accompany my new pilgrim friends Osvaldo Beltramini, Jr., his father Osvaldo, Osvaldo’s Jr.’s brother Franciano from Brazeil and Marion Brandenburg from Germany on the roof top tour of the Cathedral followed by wine at my favorite Vinoteca O Beiro a wonderful historic place to toast friendship and the camino with new friends! Thank you for a very special time together and I look forward to the next time we can celebrate Camino stories together. 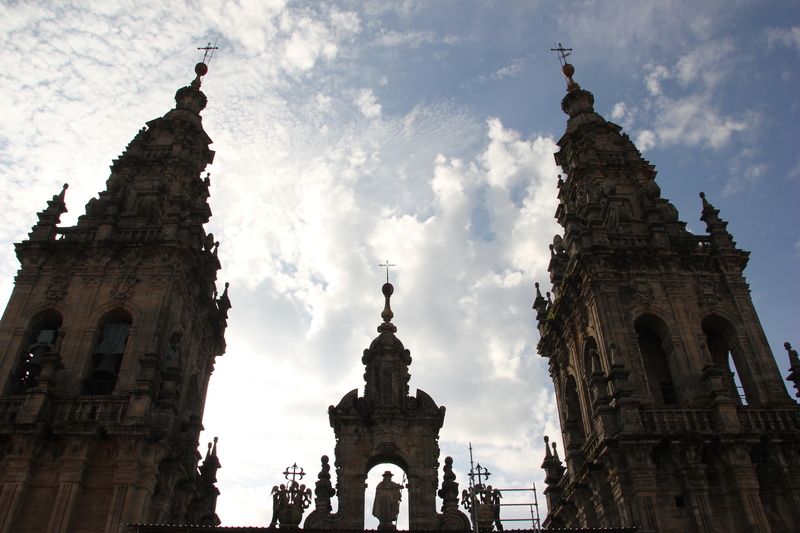 This entry was posted in Camino Inspirations!, Camino Travel Tips and tagged architecture, camino, culture, nature, outdoors, spirituality, The Way, traditions. Bookmark the permalink.